Blood Red Parana River Delta, Argentina. 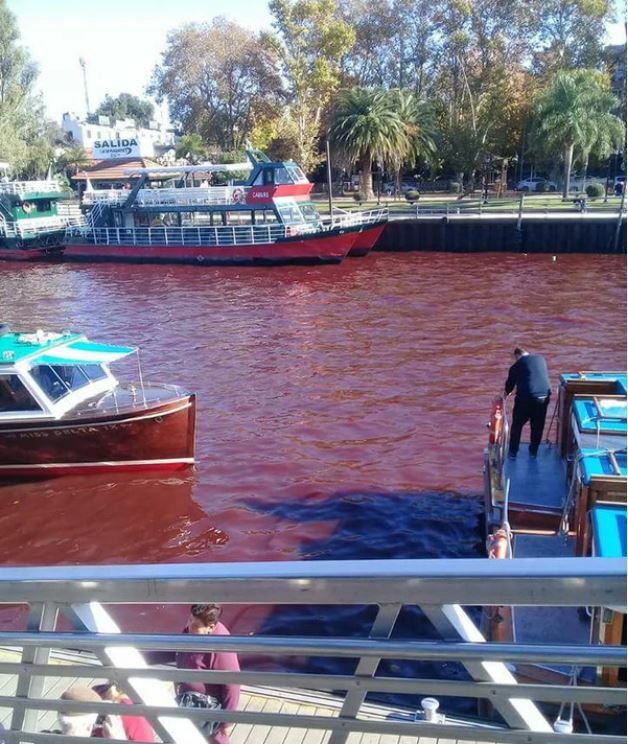 What caused the Parana River Delta to turn blood red?? ?